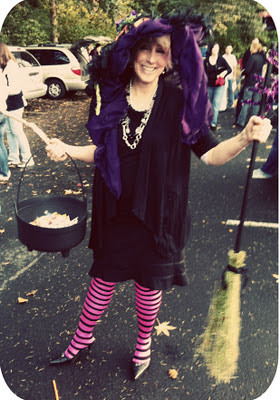 ' HP Day 29: Witchy Woman - Sisters, What! So my mom is pretty awesomely creative. Where do you think all us girls got our creativity from? Definitely from her. She recently sent me some pics of her recent Halloween endeavors and I just had to share them on here. 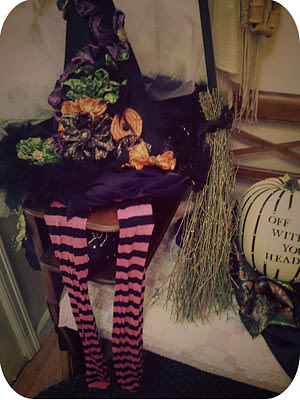 Isn't this the most awesome witches hat ever!! I love the pink and black striped tights with it. And yes, she makes for a pretty hot looking witch. 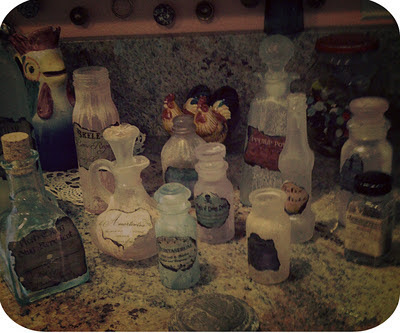 She's also helping with my nephews Harry Potter party, so she made these potion bottles. She smoked the jars with smoke spray (jars found at various antique shops). Then she sprayed with glitter. Next she watered down acrylic paint and painted the jars. She kept smoke spraying the jars between steps to get the authentic look. They look awesome! 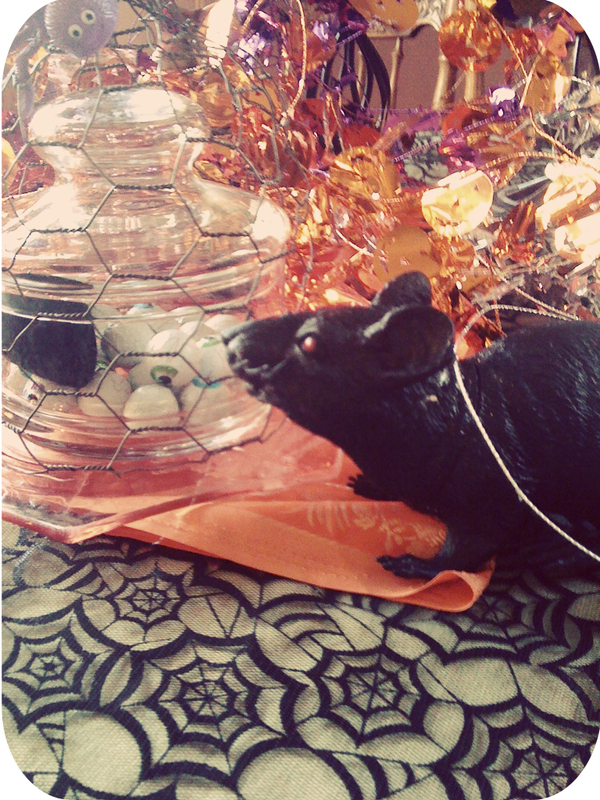 And here is a glimpse of the table; The red eyed rat is a nice touch!